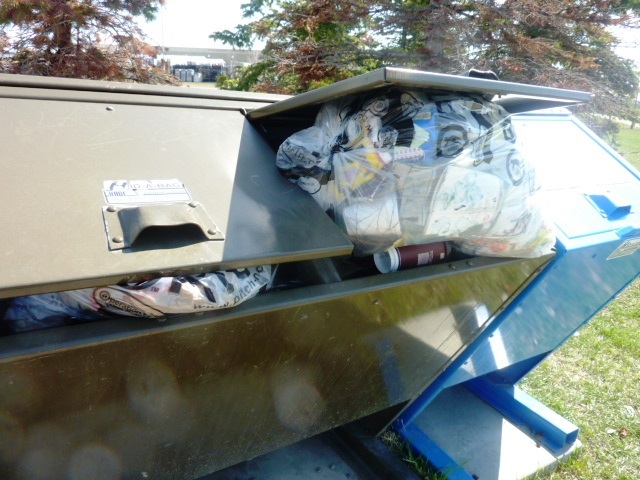 “WELCOME TO OUR NUISANCE GROUNDS”, as Margaret Laurence, writer of The Diviners, aptly named that hidden place where garbage is tossed, shoveled, moved around and buried. 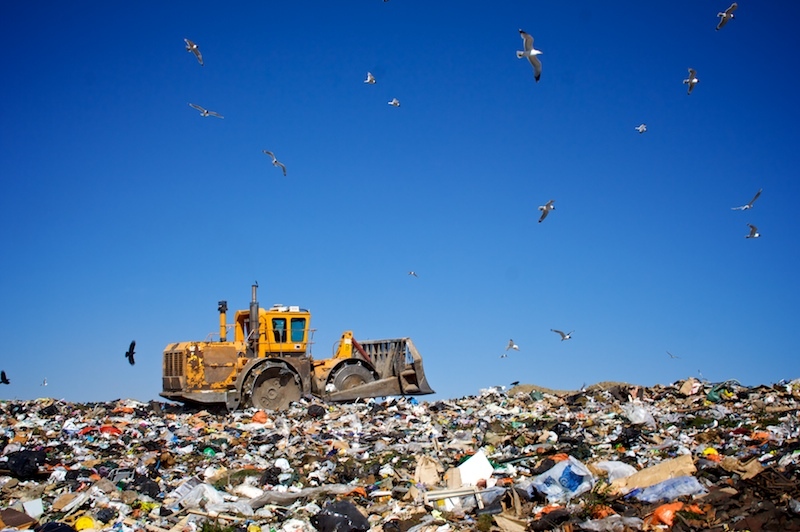 There is no judgment in writing this piece because I contribute generously, as well, to the dump (now, politically-labeled the landfill), it’s just that every spring, I seem to churn the soil and dig our communal secrets up again. They present themselves on the surface in the form of litter. The story of winter refuse surrounds us. We drive by it, step over it, complain about it and then wait for someone else to pick it up. I met a homeless gentleman named Frank, three years ago, when I started picking up litter at a location where I walked my dog, Max, daily (still do). Frank was one of five people who thanked me during that period of time. 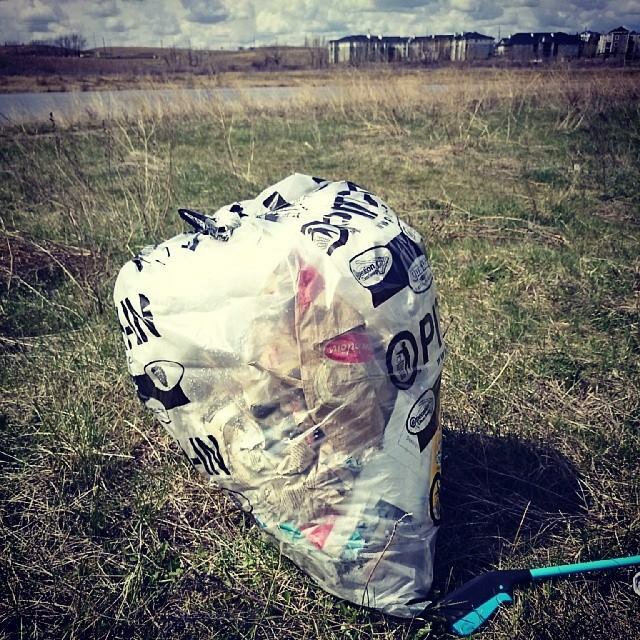 I had been picking up a full heaping bag of litter every day for three months and he would sit and drink a beer, roosting on one of the slopes, gazing over the whole of the pond at the center of the flats. He would place his beer can in a a plastic grocery bag and tuck it under a tree and after the sixth day, his neatly tied package would be offered up for pennies, nickles and dimes. He said good-bye to me on his last day, after months of watching me pick. He was heading for Vancouver for the winter and he thanked me for ‘making the place look good’. I told him that the place was going to be named after him, Frank’s Flats. The name has stuck. A jogger thanked me. She put down her plastic water bottle while doing her laps around the pond and asked if I would please not throw it away. She told me that she would be picking it up after her run. She said that the place looked great, because of me. A man, getting up in years, thanked me. He was walking his old pooch on the trail. He asked, “You’re not from the city, are you?” I said…”I live here. I’m a teacher.” He thanked me. Debbie thanked me. She even told me that when she walked her dog, Rosie, she was going to start bringing a little bag with her and do the same. This was such a warm and wonderful offering, one of the best things that happened to me that first spring and summer. And so it went…for three months; I was observed by many and because I was observed so closely, I became interested in reactions and fascinated by the isolation that became my experience. User group members of the facilities above the flats and my encounters with them became a social experiment. I became fascinated in the huge chasm that came between me and ‘the others’, more than the distance between two complete strangers…bigger than that! To this day, when I pick garbage, it’s as though I become invisible. I am, all of a sudden, from a different social status. If I was a city worker, I would be given higher status. But, I am not a city worker. That’s why I began thinking that the ‘garbage man’ must fit into one of Carl Jung’s archetypes, most likely a part of ‘the Shadow’. 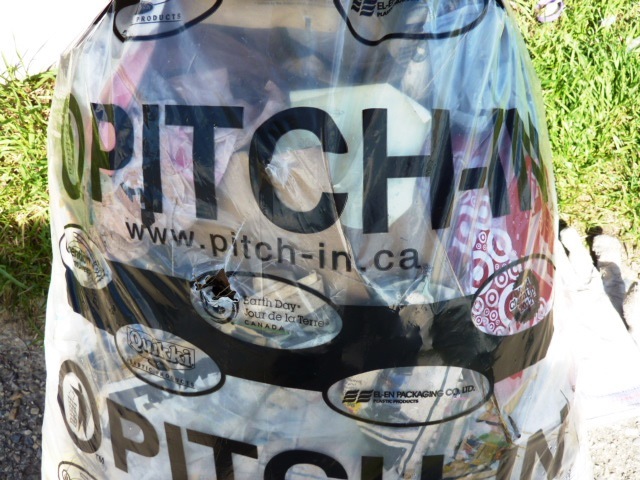 There are all kinds of volunteers operating in the City of Calgary, picking up that packaging and advertisement that we unleash on to the wind, not giving a care about where it all blows, as long as it’s out of our sight. If my readers are familiar with Christie in Laurence’s The Diviners or Mr. Jonas, the junkman in Ray Bradbury’s Dandelion Wine, you will realize the greater archetype that lives with the ‘garbage man’ or even the ‘janitor’, now labeled a caretaker. Below, a spark note excerpt about Mr. Jonas, Chapter 35, Dandelion Wine. Similarly, Father Kevin Tumback used to tell a story on Ash Wednesday about a Rag Man…a metaphor for Jesus who traded parts of himself for the wounded parts of others. 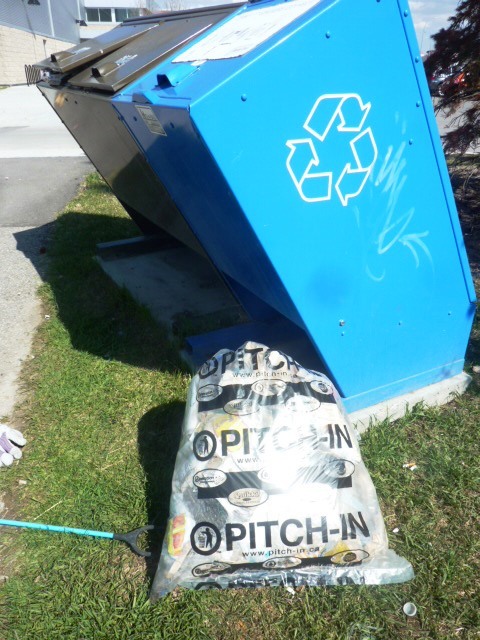 I was just thinking, as another season of litter-picking faces the volunteers in our Calgary communities, it would be an awesome thing if we all became a bit more conscious…aware of our communications with those who are picking up our communal waste. It would be a wondrous thing if the ‘garbage men’ were valued and appreciated. It would also be a spectacular thing if we elevated ourselves as a collective, more conscious consumers, more attentive stewards. You are welcome to join me at Frank’s Flats. You only need to bring gloves. Be in touch. 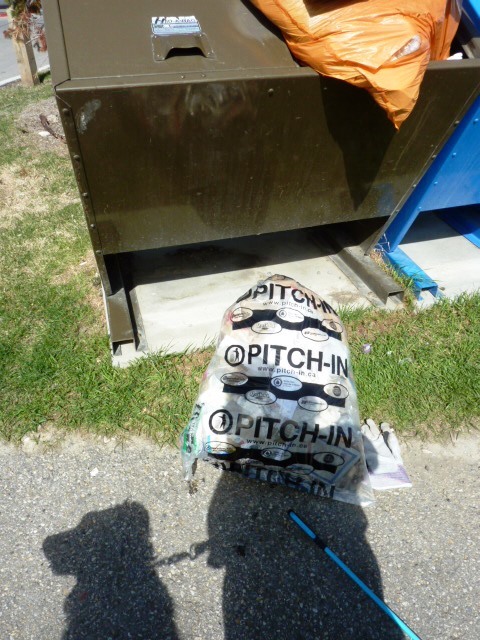 Amazed about the orange bag filled with litter…someone else picked today! This entry was posted in Books, Environmental Concerns, Faith, Going Somewhere?, Gratitude, Observations of Nature, Projects, Wellness, Words to Live By and tagged Books, Calgary, City of Calgary, community, Dumps, Garbage, Garbage Man, Invisible, Junkman, Landfills, Litter, Picking Litter, refuse, stewardship, Sustainability, Volunteers, waste by Painter Lady. Bookmark the permalink. Good Girl Kath. dont let the lazy looters get you down.!!! Thanks, Dad…I know you are in my corner!